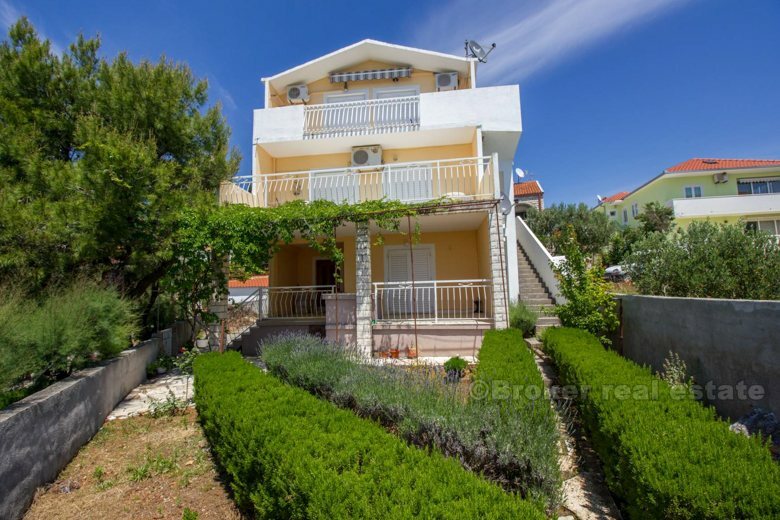 This charming house consist of 3 floors, with total of 5 bedrooms. 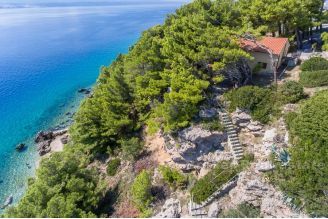 All floors are separated with entrance by outdoor stairs. On a ground floor, there is bedroom, kitchen, bathroom, big terrace. 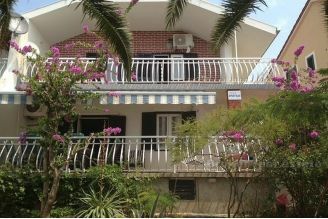 On a first floor there is 2 bedrooms, bathroom, big terrace. 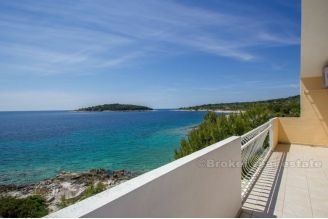 On a top floor, there is total of 2 apartments, each consist of bedroom, living open area with kitchen, and big terrace. 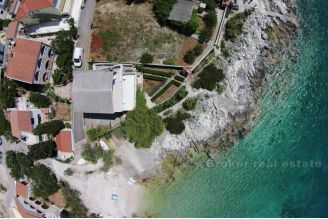 In front of a house, there is cultivated garden, with private path to the natural stone and pebble beach. 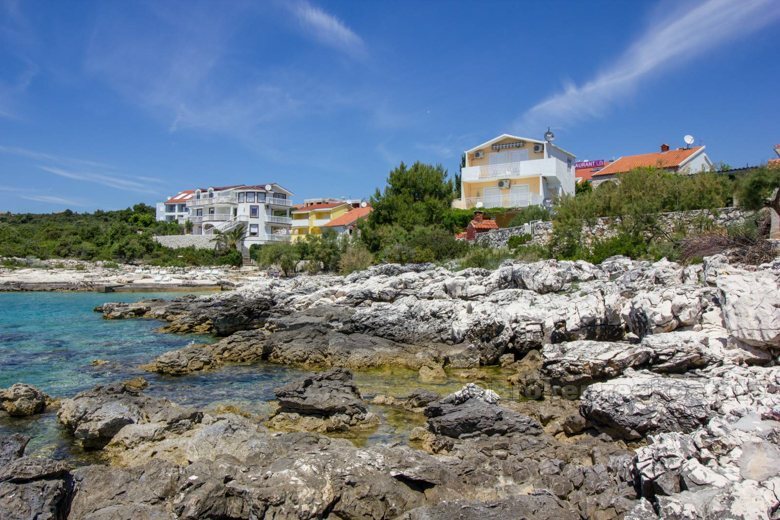 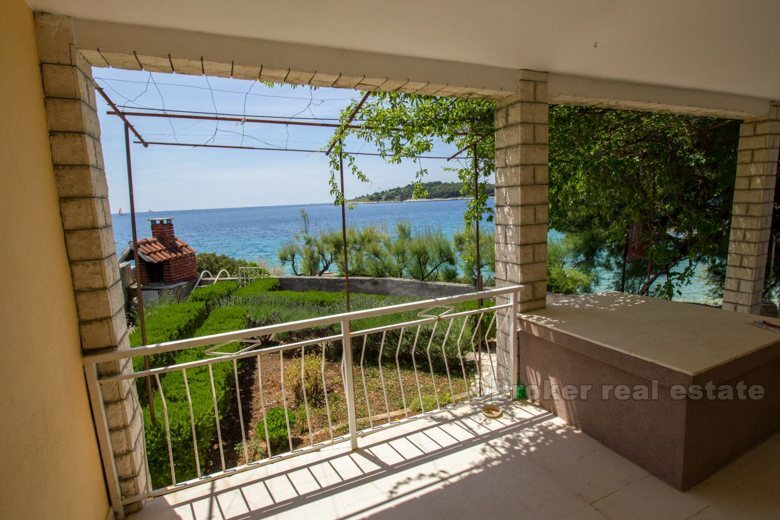 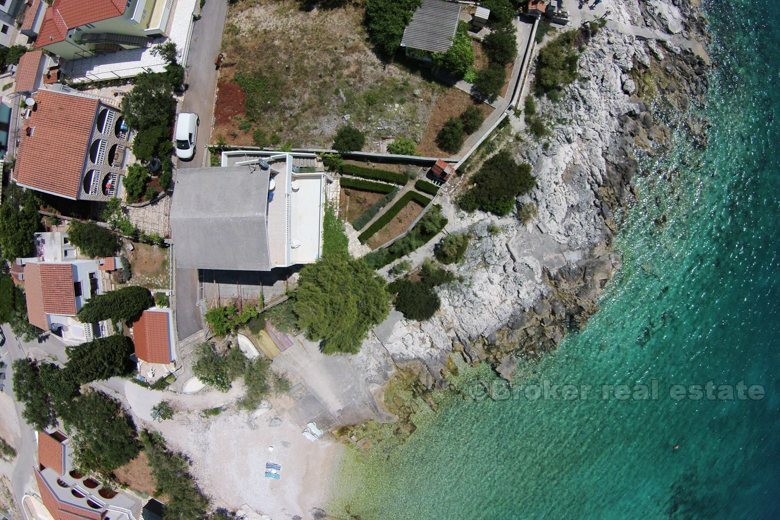 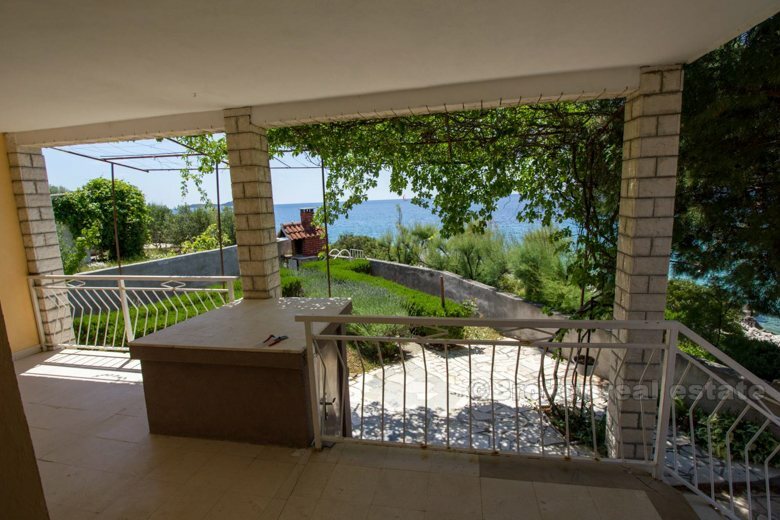 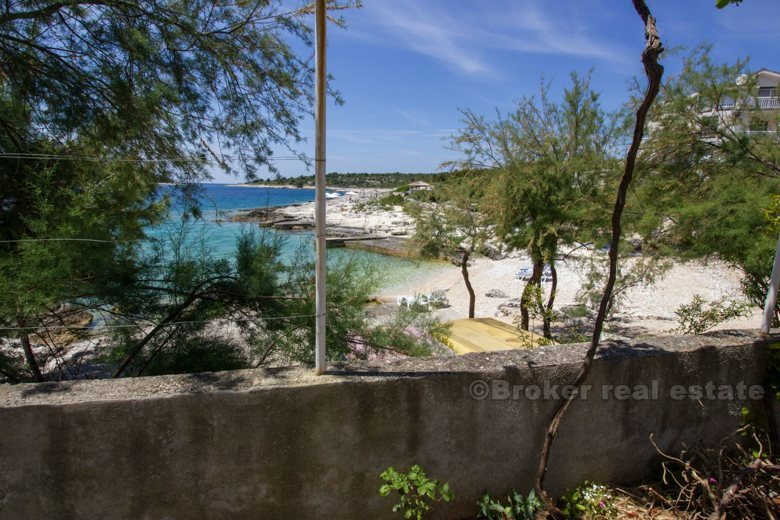 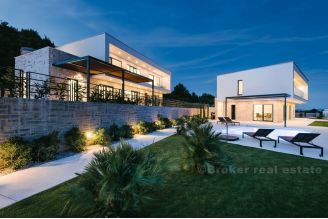 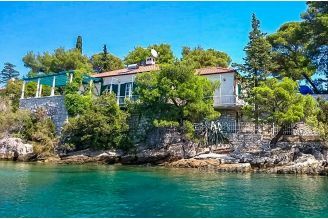 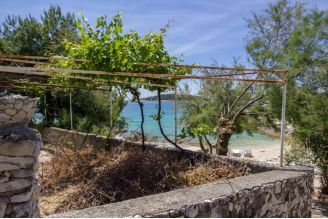 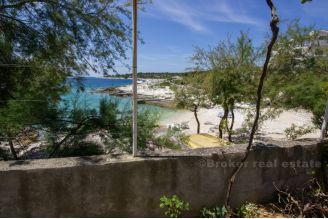 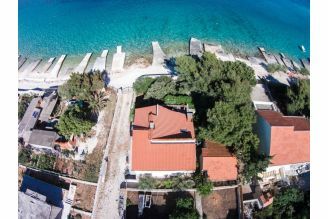 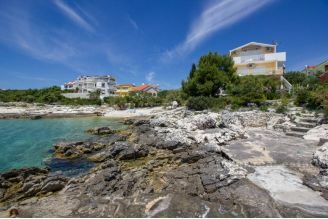 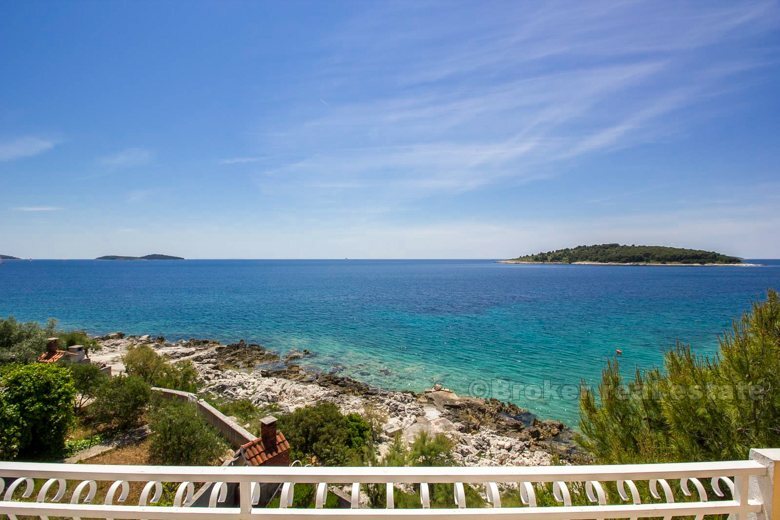 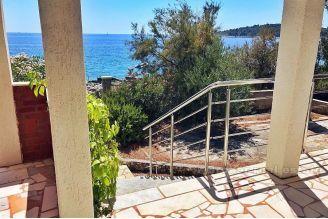 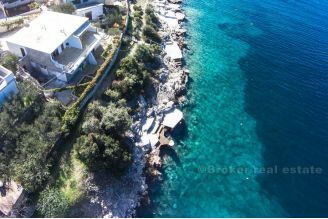 This attractive property is located close to popular town of Rogoznica and Primosten. 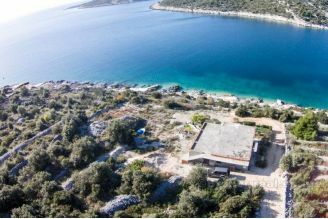 25km away is Trogir town and airport.